Thanks MJL! It would be great if Neofeud comes out on top. I wouldn't bet the house on beating the likes of Cuphead and _Observer, but to be in the final 100 rankings against a game voice acted by Rutger Hauer is a real honor. Thanks CyberUncleCat for going the extra mile! It's a great video series so far, very entertaining. 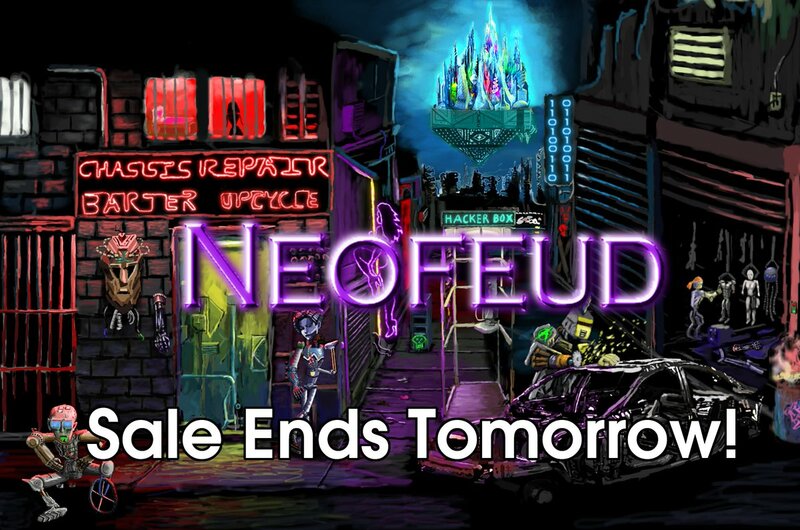 Re: Neofeud - 40% OFF IN STEAM WINTER SALE! 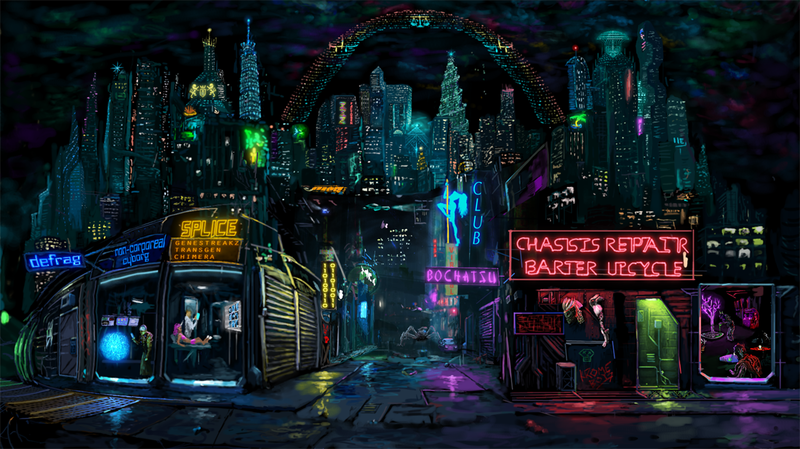 Happy Cyberpunk Holidays! May your dystopian reality be slightly less grim for the next few weeks. 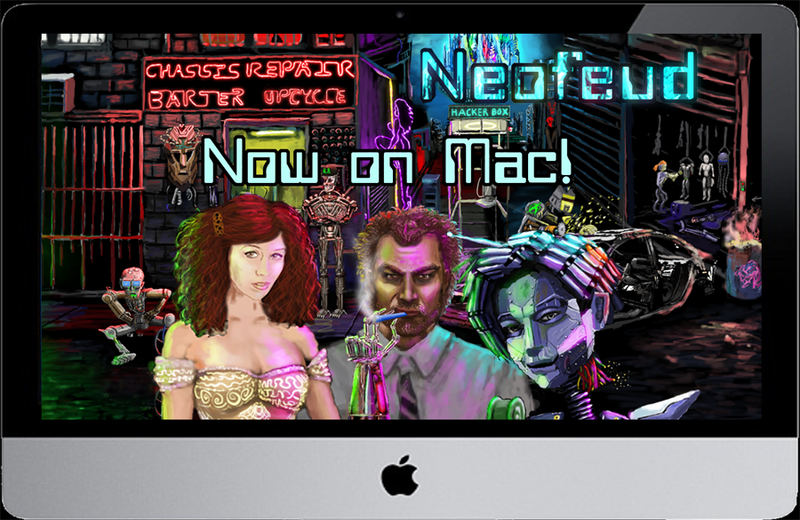 Re: Neofeud - Now Available on Mac! Come one come all! Livestreaming this from my Youtube channel tomorrow. 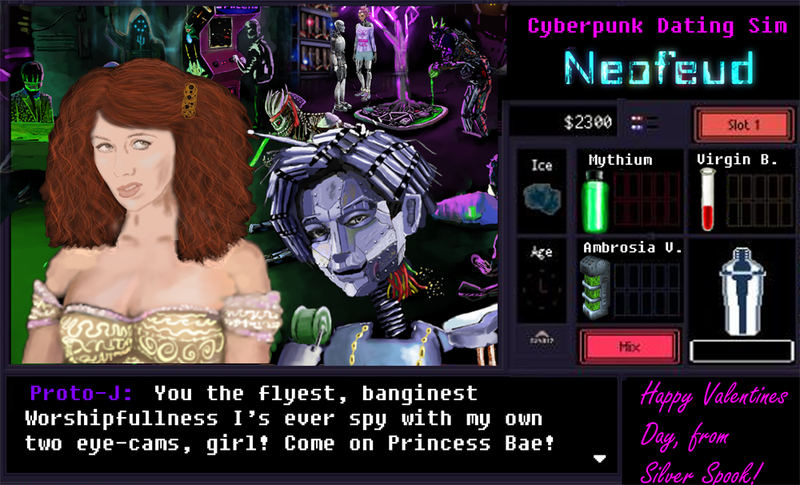 Neofeud is 50% off on Steam this week! Also, if you could leave a review on Steam, even just a short one, I would really appreciate it! 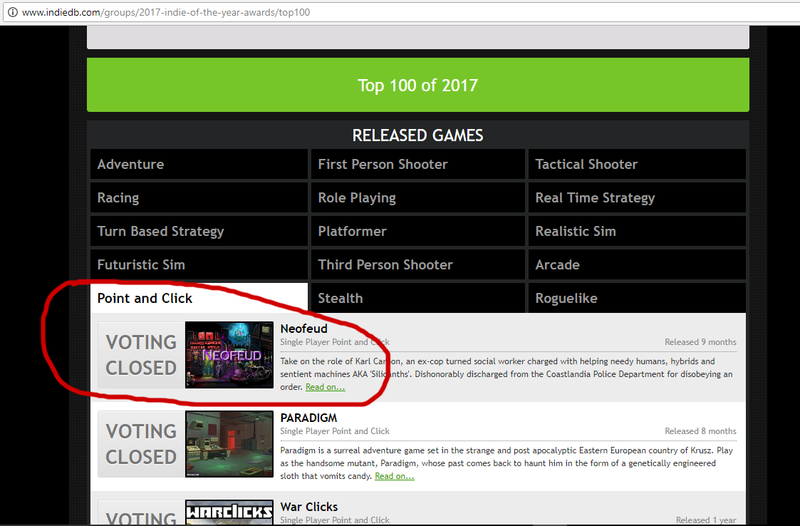 Neofeud's still only got a handful of reviews on Steam and could really use some more, thanks! Re: Neofeud - Don't Forget To Vote! That's insanely busy ... erhm... airspace? You guys sometimes just make me feel like I should just di my head in the sand and give up... awesome BG! I'm about half way through Neofeud and I'm really enjoying it! Such a living breathing world you've created Spook! Thanks, Shaun! 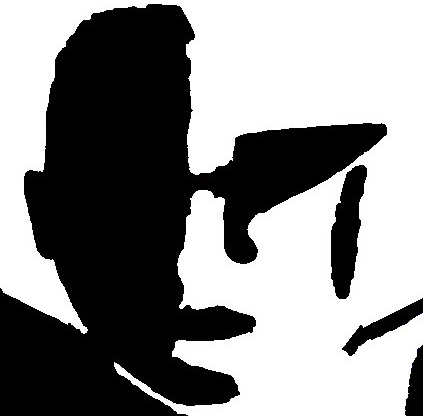 Do let me know if you need a hint, although I'm guessing you won't as a veteran point-n-click player.